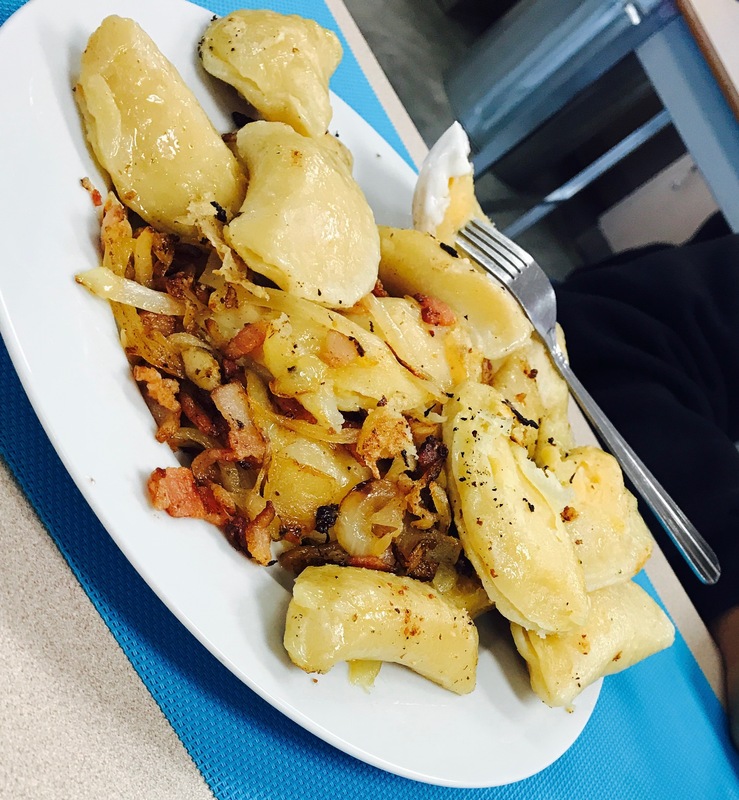 One of my favourite lab that month was the perogies that we made. The lab took 3 days for it to make and in my opinion it was the best lab by far. The first day when we made the dough and the filling was good, the dough was perfect but the problem was the filling. I was the one who made the filling so it was my fault but when I made the filling, I made the chopped bacon and after I forgot to dump the bacon fat so, then when I sautéed the onions and stuff, it mixed with it so it was my fault, after that Henry was sick and so it was only Cham and me and Cham didn’t want to eat any because she was full so I was the only one who ate it. that was all and to be honest it was still tasty even though it was full of diabetes and wish we could do it again someday. This entry was posted in Passions, Uncategorized and tagged MayFoods10 by Ken_Is_A_God. Bookmark the permalink. Good reflection, Ken. You only missed the second image.